In recent years so many new chess books have been published that one needs compelling arguments and a good portion of confidence to add yet another one to this legion. The subject of the endgame has also been examined from various angles. Nevertheless, this book offers something new. Whoever tries to prepare endgame training material for a chess group soon finds out that one is left alone here despite the overwhelming wealth of material. The classic works by Averbakh, Cheron, Euwe and Keres are too comprehensive and dry. Furthermore, these books lack examples which allow a topic to be practised by repetition. It is true that collections of studies offer interesting positions but usually they are too difficult and they do not offer a systematic coverage. Books about teaching chess usually address much stronger chess-players. In this book, I will present 15 lessons that you can use immediately, either for coaching or for self-instruction. The material will be complemented by a collection of exercises which will revisit all subjects dealt with; these could function either as an assessment in the beginning of a training course or as a means of measuring success at the end of the course. In the years 1987-8 I developed this course while acting as a trainer at the Katernberg chess club. Later I refined it after testing it at clubs, at chess groups in companies and last but not least at training courses for the North Rhine-Westphalia chess federation. 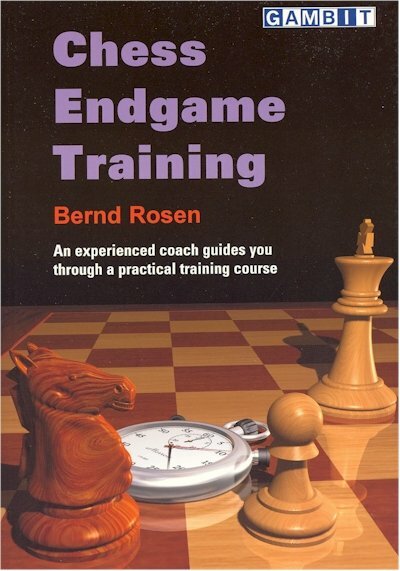 The encouragement to present this endgame course in a book also developed from these training courses because I saw that chess teachers constantly found it necessary to reinvent the wheel. Individual lessons were published in the newsletter of the North Rhine-Westphalia chess federation and these also met with a positive response. Before we plunge into the wonderful world of endgame strategy, we should like to give you some hints on how to use this book.